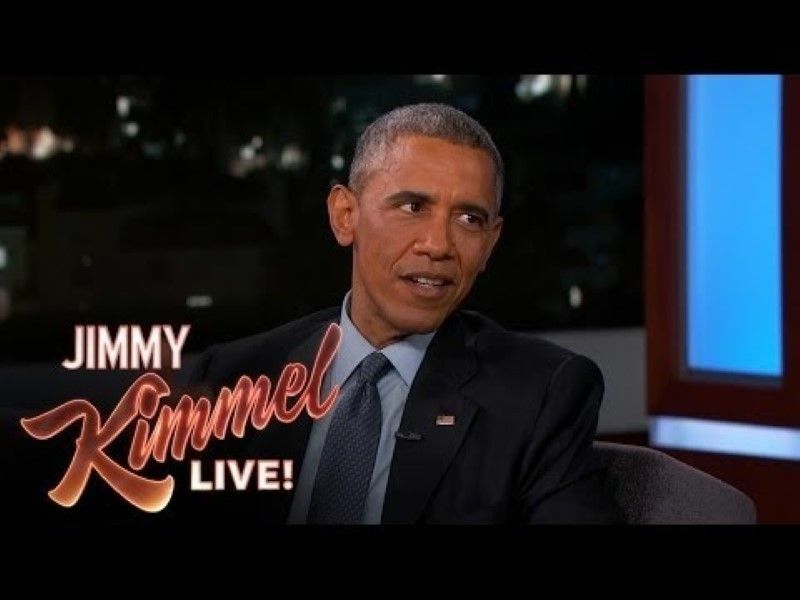 Last night President Obama appeared as a guest on Jimmy Kimmel Live, and just as he had done with President Clinton, Kimmel asked Obama if he looked into Area 51 and UFOs. Kimmel broached the topic in the same manner he had with Clinton. He told the president that if he was president the first thing he would do is immediately look into what the government knows about Area 51 and UFOs. Obama told him this is why he will not be president. Kimmel warned Obama that people were going to look at his facial expressions and every move as he answered these questions to analyze what he was saying. Kimmel told the POTUS that Clinton has told him he looked into it and didn’t find anything. That was the extent of their extraterrestrial discussion. If you were to read this without watching the video, this conversation would sound somewhat ominous, and I am sure some people will take this as a confirmation that aliens are controlling the government. However, Kimmel and Obama were smiling and laughing the whole time. Kimmel certainly felt the President was joking, and seemed to find his responses very funny. Obama: It was unlikely that I was going to be president. Kimmel: The moment I was in inaugurated – my hand would still be hot from touching the bible – I would immediately race to wherever they have the files about Area 51 and UFOs and I would go through everything to find out what happened. Did you do that? Kimmel: One of the reasons. Obama: Because that is the first thing you would do. Kimmel: It is at the top of my list. Obama: The aliens won’t let it happen. You will reveal all of their secrets. They exercise strict control over us. Kimmel: Now you know there are a lot of people who are going to examine your facial expressions here, every twitch, every everything and say, of course. Did you look? Did you see? Did you explore? Obama: I can’t reveal anything. Kimmel: Oh really? Because President Clinton said he did go right in and he did check and there was nothing. Obama: You know, that is what we are instructed to say. 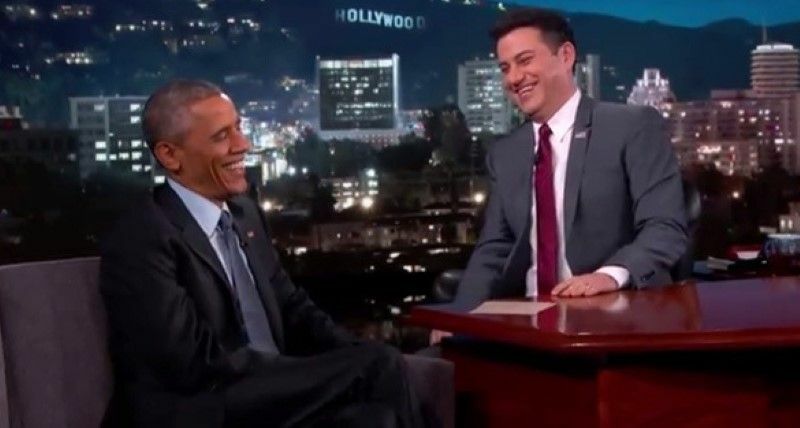 The conventional wisdom is that Obama was kidding around with Kimmel and giving silly answers. However, not everyone will feel this way. 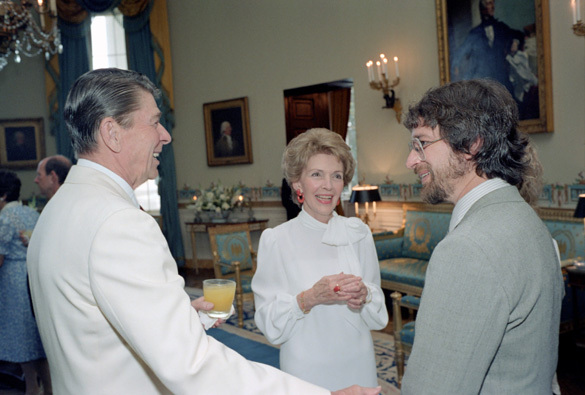 In fact, Obama’s joking about aliens has been misconstrued and made news before. In all of these instances a number of people have argued that the POTUS’ were all telling the truth about an alien cover-up and these were not actual jokes. Kimmel seems to be aware of this fact when he warned Obama that his every movement would be scrutinized. Indeed, when Clinton appeared on Kimmel’s show and discussed UFOs and aliens, his answers were carefully analyzed. Ben Hansen, former host of the TV show Fact or Faked: Paranormal Files, has a background in law enforcement. He did a body language analysis of Clinton’s interview. He says he felt there were signs that Clinton was stressed about the line of questions. He admits this does not mean that Clinton was hiding alien secrets, but he feels it may indicate that Clinton knows more than he was willing to reveal. Given Kimmel’s warning, I wonder if he saw Hansen’s analysis? Either way, he is probably 100% correct in his prediction that Obama’s comments will be carefully analyzed. Although, it should be noted Obama was the first President to use the words “Area 51″ in public. Even though Clinton has said several times he looked into it, he always talked about a secret base in the desert. The name “Area 51″ has been unacknowledged until recently. In 2013, the CIA finally unredacted the name Area 51 in previously classified documents, which has been taken as an official acknowledgement of the base’s existence. Obama’s comments about MacLain begin at the 9:40 mark. So now the debate in UFO circles can begin. Was Obama really joking? Or is he hiding a nefarious secret in plain sight while getting a few laughs in the process?